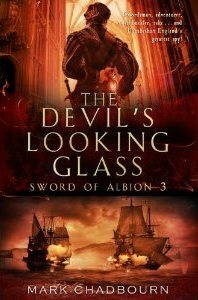 Solaris is proud to announce a new acquisition from popular British fantasy novelist Mark Chadbourn. The Lord of Silence is a thrilling new epic fantasy. When the great hero of the city of Idriss is murdered, Vidar, the Lord of Silence, must take his place as chief defender against the mysterious terrors lurking in the dense forest beyond the cityâ€™s walls. But Vidar is a man tormentedâ€”by a lost memory and a vampiric jewel that demands the life energy of others. Now, with a killer loose within Idriss, and the threat from without mounting, Vidar must solve a three thousand year old religious mystery to unlock the terrifying secrets of his own past. A two-time winner of the British Fantasy Award, Mark Chadbourn is the author of eleven novels and one non-fiction book. A former journalist, he is now a screenwriter for BBC television drama. His other jobs have included running an independent record company, managing rock bands, working on a production line, and as an engineerâ€™s â€œmateâ€. He lives in a forest in the English Midlands. The Lord of Silence will be released in 2009 in the US and UK. Please note â€“ this book will be in addition to my regularly scheduled novels published by Victor Gollancz. The Dark Age omnibus is planned, but not yet scheduled. I’ll post it here when I know something. Waiting for Burning man too will put this one on the list. I agree with Fergie love big books for public transport. Mad dancing magicians? I am so there!